Want to tone those upper arms? Doing manual lymphatic drainage massages may be the answer you've been looking for not to mention speeding up your lymph system. Giving yourself Manual Lymphatic Drainage (MDL) massage helps to improve your lymph circulation throughout your body useful when trying to prevent bloating and even when moving to tone upper arms. There are many manual lymphatic drainage techniques that can be performed in all parts of your body to speed up your lymph system. With the right type of manual lymphatic drainage therapy, there is nothing you can't do that involves the healthy drainage of your lymph nodes to tone arms and even help get rid of bloating in the face slimming down that facial figure of yours naturally. In this upper arm Slism, we show you how to do a manual lymphatic draining massage to tone upper arms speeding up your lymph system with an upper arm toning exercise to do at home without weights. 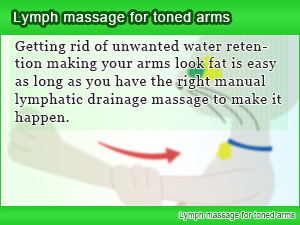 Although it doesn't seem like a good way to tone upper arms, giving yourself a lymph massage at home works. How to tone flabby upper arms and lymphatic manual drainage doesn't have to be difficult. Similar to the way pressure point healing works, the trick to getting the manual lymphatic drainage benefits you want is in knowing which areas to massage first. Depending on the area of your body you want to target. If you are not in the mood to massage your upper arms then you may be interested in chair dip exercise to tone upper arms exercising your triceps at home, at the office, or anywhere you have a place to lean on. Before starting to even think about toning your upper arms one must return to the reason why it is so hard to tone upper arms in the first place. The major reason why your upper arms get so flabby is due to lack of exercise in your upper arms. Another reason has to do with circulation. How doesn't blood circulation make my arms look fat? You may be asking yourself right now. On the contrary, it is not your blood circulation but instead your lymph system. Poor circulation through lymph nodes is said to cause bloatedness. Since your upper arms like your hips serves as a major lymph node acting as a sink allowing lymph to flow freely to your extremities such as hands and feet where unwanted bodily toxins build up due to poor lymph circulation. The secret to toning you your upper arms may be to speed up your lymph system massaging the area around you collarbone to your shoulders. Next follows a manual lymph drainage massage for you upper arms. Tone upper arms at home without leaving your living room a relaxing massage and exercise to match. Here is a manual lymphatic drainage massage for women to tone those upper arms along with step by step instruction on the manual lymphatic drainage techniques to make manual lymphatic drainage therapy eliminating water retention in your upper arms work for you and your body. Move your shoulders up and down repeatedly focusing on relaxing your upper arms before proceeding to the next step. Massage the lymph nodes along your collarbone working your way from the inside out towards your shoulders right above your upper arms. For beginners just getting started doing each side separately is recommended. Extend your right arm straight in front of your body gripping your wrist with you left hand while you gently start to work you left hand up to your right upper arm sliding with the image of moving lymph through the lymph nodes of your right arm. Inflate a plastic back with air and start tossing it in the air alternating between your left and right hands as you do 20 reps on each side. 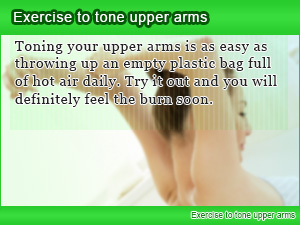 After doing this exercise daily, what you will notice right away that it's actually helping you tone your upper arms. By exercising the muscles around you collarbone and shoulder blades you can tone your upper arms. Another worry area that is affected by poor lymph circulation is your face. While most people where about a bloated face in the morning, there are ways to slim your face such as a massage to slim down your facial figure getting rid of a bloated face. If you liked the massage in this column you are going to love this facial lymph massage as much as face yoga. Get a slimmer more petite face by doing lymph massages getting a smaller face. Don’t settle with having a big contour making your head look big. Fix it. Just because you don't have time to go and get a deep tissue massage doesn't mean a manual lymphatic drainage massage isn't going to work. Getting rid of unwanted water retention making your arms look fat is easy as long as you have the right manual lymphatic drainage massage to make it happen. 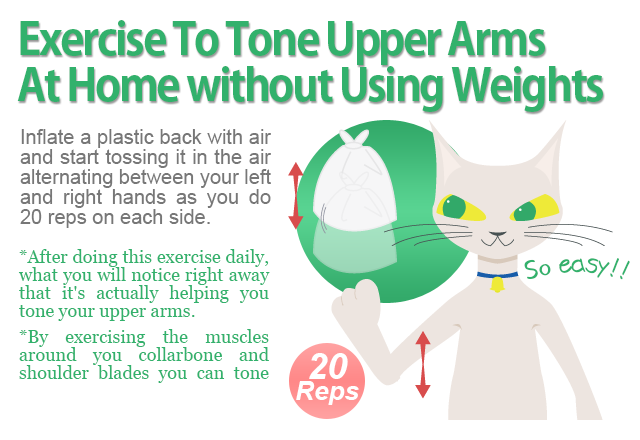 Toning your upper arms is as easy as throwing up an empty plastic bag full of hot air daily. Try it out and you will definitely feel the burn soon.